Cork ‘n Fork Tours – Wine Tours in Australia Welcome! Cork ‘n Fork Tours are the premier wine tour provider to Brisbane and the Gold Coast with a combined 35 years experience in the wine tourism sector. You will experience the most fun loving, inviting and informative wine tasting experiences in Australia!, delivered by the only Local tour operators in the area. They are family owned and operated and have a real passion for what they do and for the region. Let them show you their backyard. Cork ‘n Fork Tours do one thing and do it well, wine tour experiences. You will be driven in air conditioned comfort in one of the different sized seat belted vehicles through lush green hillside, valley and the plateau, of Tamborine Mountain. You will pass by scenic waterfalls and memorable landscapes that encapsulate the mind, while the food and wines takeover the senses. See the the idyllic vineyards that dot the beautiful landscape and savour the flavours of the delicious Aussie wines of the area. We want you to keep coming back! We look after people and drink wine! We love driving people to drink! We love our wine life! Give us a call or just fill in the contact form. Ladies please also note-NO STILETTO HEELS PLEASE! All passengers must be 18 years or older to travel on our tours! We have a wine tour experience to suit everyone, gather your friends and family and give us a call, if you are a couple staying locally on Tamborine Mountain great, sorry we do not do tours for one person thank you! We do have minimum numbers see Tours available. 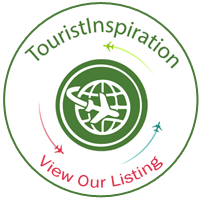 Enjoy the many links listed to all wineries, cellar doors, vineyards and accommodation places that make up the Scenic Rim. Most of all “Save Water drink more Wine”, there are many wine tours to tantalize your taste-buds situated in the breathtaking Tamborine Mountain region. Click on the picture and it will take you to a downloadable version of our brochure for your use. Phone:- 0415454313 for overseas visitors +61 415454313 or fill in the contact form.